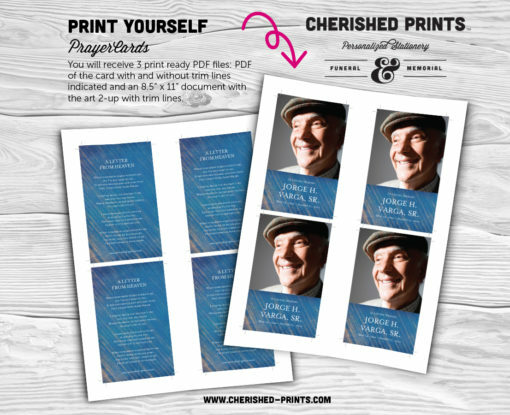 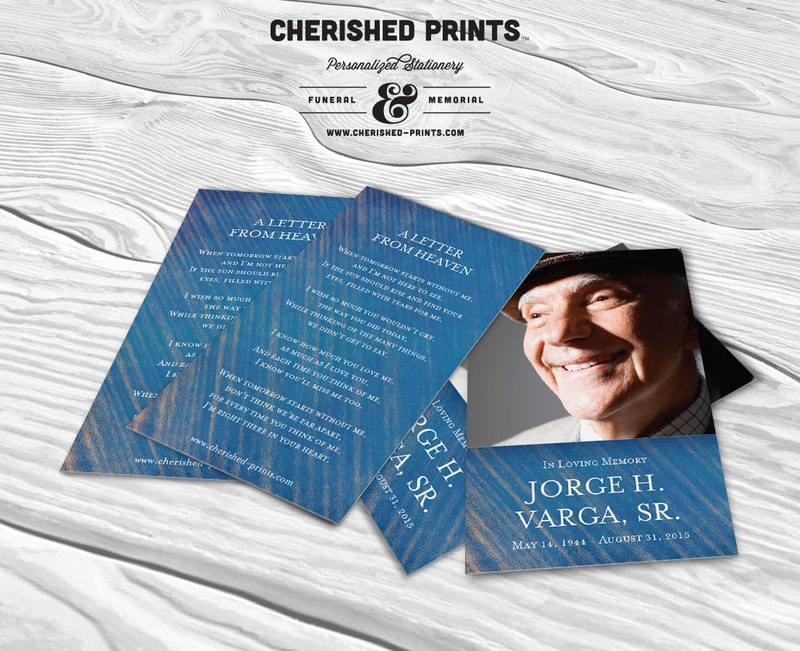 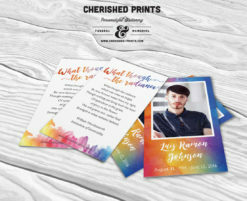 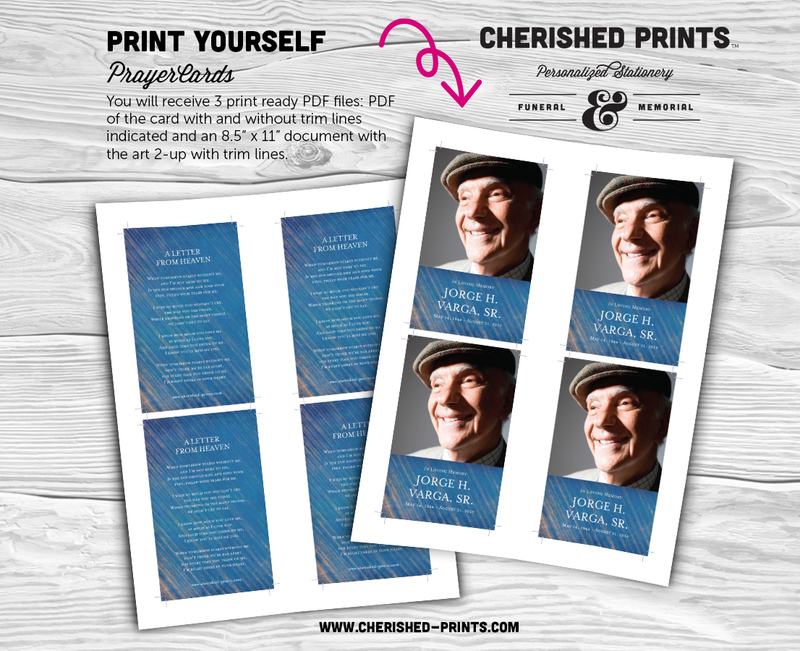 Modern Blue Striped Watercolor Texture prayer card, memorial card, and funeral card are fully personalized with your own words, service details, poem or prayer, and photos — making it a lasting keepsake. 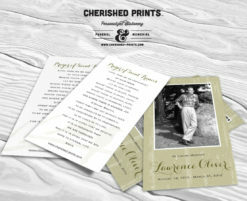 I ordered these to go into the bags I gave out for my husbands Celebration of Life. 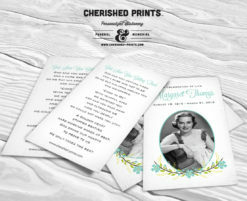 They fit perfectly into the little bags I had along with two mementos. 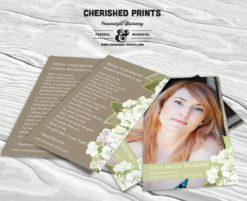 Melissa listened to what I wanted and printed up the most wonderful thank you cards to give to each guest. 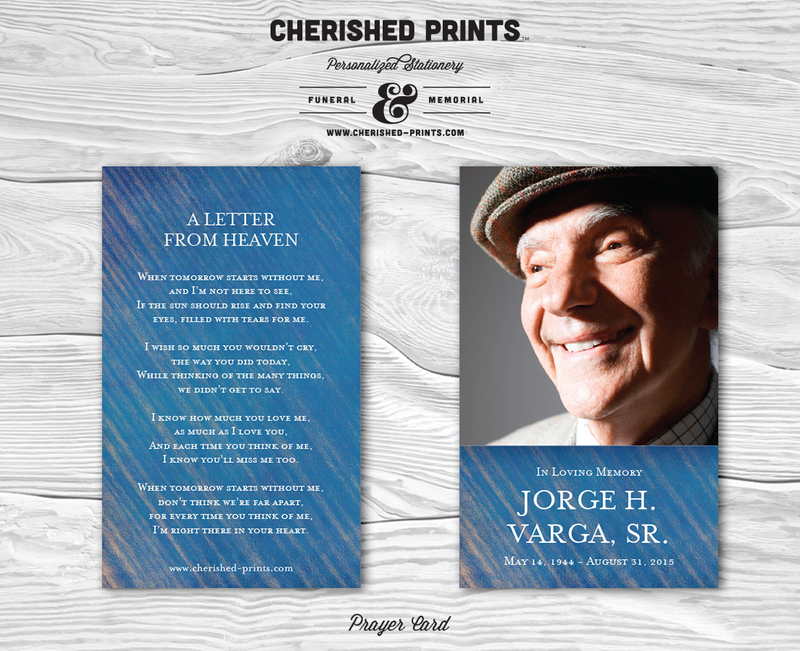 I would highly recommend Cherished Prints for your funeral or Celebration of Life event. Beautifully done!